This photo is my submission to the Tuesdays of Texture Photo Challenge. 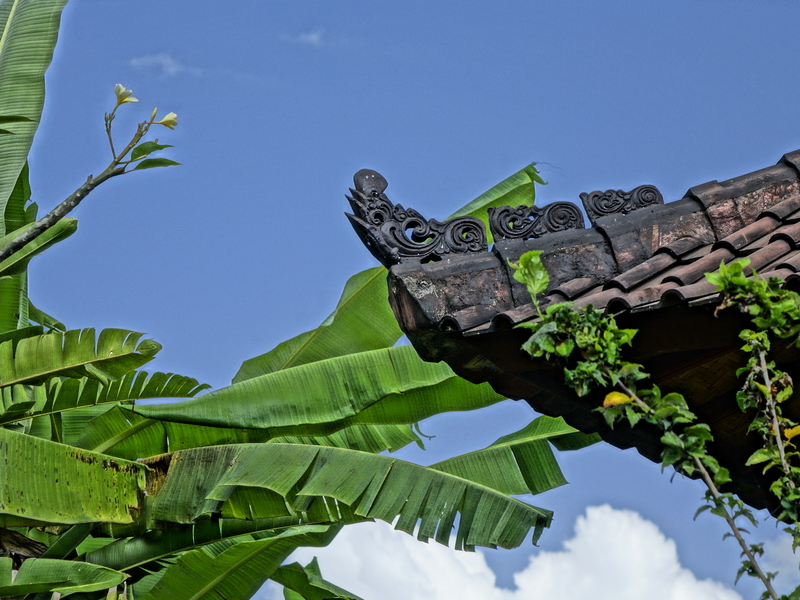 The leaves are banana trees, and the structure is the tip of a traditional roof in Bali. I don’t think it’s your “average” concept of texture, but I liked the way the smoothness of the tattered leaves blended with the rustic and weathered tiles on the ancient roof. What do you use for editing the pictures? Just a hint of High Def. Oh my!! These photos are insane! Beautiful. Thanks so much, I’m glad you like them. And thanks for stopping by my site. Faraday’s Candle…excellent name!! Are you a science-type person? This entire family is into science! We also enjoy everything this beautiful world has to offer! Take care.